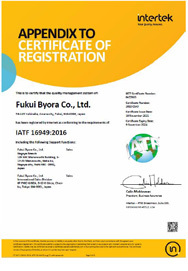 ISO Certification | Fukui Byora Co., Ltd.
Fukui Byora is certified IATF 16949 (which replaced ISO/TS 16949), since February 18, 2016. 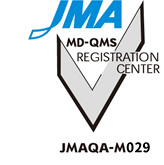 Fukui Byora is certified ISO 9001, the international standard for quality management systems, since December 21, 1998. 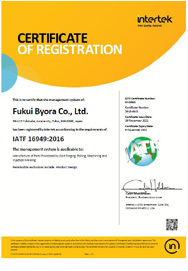 Fukui Byora is certified ISO 14001, the international standard for environmental management, since October 7, 1999. 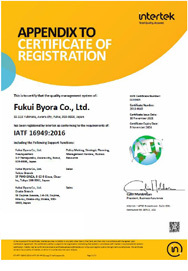 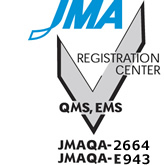 Fukui Byora is certified ISO 13485, the international standard for medical device quality management systems, since September 14, 2010.